The Chevy Colorado with GearOn Package is ready for any adventure! For those of you who have an adventurous side, we have a treat. 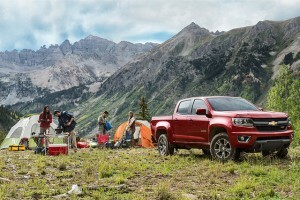 Chevrolet recently unveiled the brand-new Chevrolet Colorado GearOn package, an assortment of brand-new accessories that give customers all the tools needed for their next adventure. The Chevrolet Colorado GearOn Package is ready for every excursion with a variety of mounting accessories that will hold down any of your gear, ranging from kayaks to bikes, and beyond. Each of the mounting accessories can also be moved, allowing you to configure them however you want. You won’t even have to worry about storage with plenty of space throughout the truck. If you’re interested in the GearOn accessory package, it can be sold separately. The Chevrolet Colorado GearOn Edition is also available. For more information about this awesome pickup truck, contact Bradshaw Chevrolet today. When the rush to proclaim the Blue Oval’s pickup truck began, we here at Bradshaw Chevrolet felt compelled to tell everyone to hold their horses. While game recognizes game, we felt that there was a particular truck that was being unfairly overlooked on the way to proclaiming a certain other truck the king of the heap. Fortunately, the fine folks at Motor Trend backed us up, making it much easier for the 2015 Chevrolet Colorado actually being the best of what’s around in the pickup segment today. Indeed, the 2015 Colorado does exactly what it sought to do when it first debuted a year ago: reinvent the pickup segment. 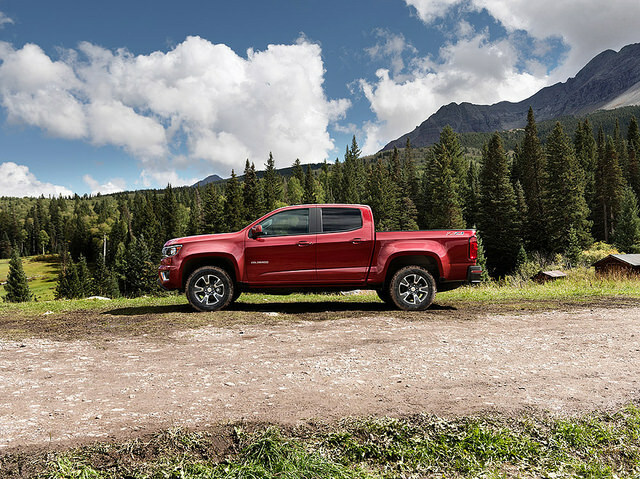 In reviving the mid-size pickup and bringing a truck to the masses that isn’t too big and isn’t too small but is juuuuust right, Colorado is an offering with endless appeal to match its endless style and utility. Lauded for having “the best steering [editor Jonny Lieberman] ever experienced on any truck,” a wealth of standard features even at a low starting MSRP, and a number of upgrades that wind up making the small truck feel like a thing of big luxury, the Colorado is unquestioned atop the throne as 2015 Motor Trend Truck of the Year. Anyone who thinks there isn’t a market for more midsize pickup trucks is sorely mistaken—which Chevy is out to prove with its new Colorado truck. The Colorado is already a favorite among new car customers, who love its combination of practicality, capability, and efficiency. A recent Chevy press release followed the excitement of the first Chevrolet Colorado owners, like Albert Lorenzo. To find out how you, just like the Lorenzos, can make the most of the new Chevrolet Colorado, come see us at Bradshaw Chevrolet. We’ll show you what the Colorado for you—and soon you’ll be another success story, just like the Lorenzos. At Bradshaw Chevy Buick GMC Cadillac, we’ve been hot to get customers behind the wheel of the 2015 Chevy Colorado since it first appeared all the way back in November at the LA Auto Show. Imagine our excitement when we got the chance to tinker around with the various options of the Colorado when Chevrolet launched its “Build Your 2015 Colorado” page earlier this month, giving us the chance to option the handsome midsize pickup just the way we like it. Does it get any better than playing with the configurator? Actually, wait. Don’t answer that. It does get better: the 2015 Colorado is shipping now. That’s right, folks. You can build your own Colorado online, roll your bones over to our showroom, and talk to our friendly salespeople about getting the real deal. Before you know it, you’ll be able to schedule a test drive at the wheel of what can be considered an early favorite to pick up the mantle of 2015 North American Truck of the Year. Want to show your appreciation for all of Chevrolet’s hard work? Schedule your test drive now. We have a feeling that the Colorado will sell fast. General Motors has released the EPA-estimated fuel economy ratings for the 2015 Chevrolet Colorado and GMC Canyon and they will both offer segment-leading numbers for V-6 midsize pickups. Both trucks beat their competitors with V-6 engines and automatic transmissions by 3 to 5 mpg. 2015 Chevy Colorado coming soon to Bradshaw Automotive! Both trucks will use the same engines and have the same fuel economy ratings. For the 3.6-liter V-6 with direct fuel injection and continuously variable valve timing, two-wheel drive models are rated at 18 mpg city, 26 mpg highway, and 21 mpg combined. 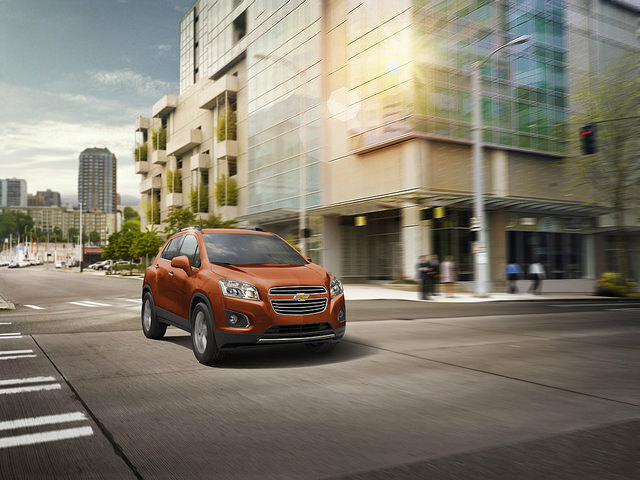 4×4 models get 17 mpg city, 24 mpg highway, and 20 mpg combined. What do you think of the Colorado and Canyon fuel economy? Are you looking forward to saving money at the pump? Both trucks will be coming to Bradshaw Chevrolet Buick GMC Cadillac very soon.